Will the Mediation Be Successful? You and most of your opponent(s) and/or co-defendant(s) have agreed to mediate. Now comes the hard part; selecting the mediator, scheduling the date and bringing the last party to the table. 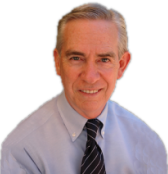 Your ADR provider (e.g. ADR Services) can do all the rest of the work. They consult with the lawyers developing a consensus on which mediator will be best for the case. At the same time available dates are cleared. Finally, the sensitive task of rounding up the last party is best left to the neutral ADR provider, whose only agenda is to provide good service. This neutrality plus the momentum of the convening process usually brings in the last party. Ask about the mediator’s experience in similar cases, in recent mediations, on the bench and in private practice. Set up a hypothetical similar to your case and ask how the mediator would approach the problem. Ask about the mediator’s style: evaluative or facilitative; structure of joint sessions; preparation methods; interphase techniques with clients and lawyers and documenting deals. Briefs: Content and length? Parties exchange briefs? Lead time for filing? What do people say are the mediator’s best qualities? Where could the mediator improve? Ask about the mediator’s recent successes and failures. Mediators are in the service business and are happy to speak with you before or after a mediation. Once there’s an agreement to mediate, wrangling over mediator selection can be counter-productive. Unless the other side’s choice is unacceptable, go with their pick. Because the other side respects their choice and will listen to their selected mediator, you have a higher probability of settling the case. Even if the mediator is ineffective, not neutral or just plain wrong for the case, you will have learned what the other side considers its strengths and your weaknesses. Then you can adjust strategy, tactics and approach accordingly. Your favorite mediator is unavailable, what next? How do you find the next best choice? Ask….. The other side; they're more likely to listen to the mediator they respect. Your favorite mediator; she knows your preferences and what works best for the case. 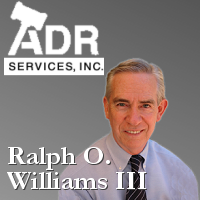 Colleagues/friends; many firms and organizations maintain databases of ADR professionals. List serves; put out a request for names or a specific name and be surprised at what affiliated strangers will do to help. ADR providers; they have access to more options and it is in their best interest to make you happy. Parkinson’s Law states: “Work expands to fit time available for completion.” Its reciprocal, “work will contract to fit time available” is also true. Familiarize the other side and the mediator with your case and the other side’s. Finalize and document the deal. A mediation is set for 2 or more days because the case is complex factually and/or legally, the damages are substantial or it has multiple parties or some combination of the above. Best practice is to conduct pre-mediation conferences with the mediator to determine the necessary participants, issue order, presentation order, time allocation and scheduling. That way information is shared in a structured and efficient manner and no one’s time is wasted participating in a session that does not concern them. Now that mediation is part of the litigator’s tool box, we tend to focus on case resolution and forget that even if a case does not settle we can capture value in four areas. Learn what the other side is up to both factually and legally at fairly low cost. Pitch your case to the other side, seeing what’s working and what’s not. Get a neutral third party’s thoughts about the evidence, value and tactics. In a perfect world, you mediate when the other side’s risk is the highest, e.g. Before some unrelated, important business or personal event. Plaintiff forward damage information to defendant(s) 30 days before the mediation. Exchange briefs 7 days before the mediation. Conduct one round of negotiations before the mediation begins. If the mediation is not going to be productive, continue it and gather/exchange the necessary information. Every trial lawyer has a horror story about running out of time at a mediation or a mediating a case until the wee hours of the morning. Sometimes that is just what has to happen for that particular case, but more often than not, the problem is caused by the failure to set a schedule at the start of the mediation. Scheduling time for specific events creates the expectation that the mediation will be completed on time with a successful outcome. During the day, the parties and the mediator can check their progress against the schedule and adjust accordingly. Below is working schedule for an all day mediation. 9:00: Meet and greet parties – Plan mediation schedule. 9:45: Individual meetings with mediator. Noon: Rolling lunch break, one side works with mediator. 3:00: Deal taking shape, final negotiation, working on deal points. 4:00: Document and sign deal. Many lawyers forget that mediation differs from trial and arbitration in that ex parte communication with the mediator is the norm. Effective mediation advocacy includes pre-conditioning the mediator to your point of view through ex-parte communication. Prior to the mediation, call or email the mediator with the goals of assuring mediator preparation, insuring process credibility and establishing rapport. Assure mediator preparation by asking if he has the brief and volunteering to answer questions. Insure process credibility by discussing how to effectively use or not use a joint session and enquiring about the mediator’s style. Establish rapport by alerting the mediator to difficult issues or people and brainstorm appropriate approaches. During the mediation your ex-parte communications take place in private caucus sessions. Here you are selling your case, minimizing your weaknesses, searching for information and clues from or about the other side and managing the settlement negotiation. All are best done with a friendly, professional and candid demeanor, designed to obtain the maximum benefit from the mediation in either a settlement or useful information. When your case does not justify your favorite mediator's fee or your favorite mediator is unavailable, try the new person. Every ADR provider has new people that need a "try out" assignment to meet clients and earn their confidence. Below are suggestions that minimize the process and professional risks associated with lesser known mediators. 1. Ask the ADR provider and your favorite mediator for recommendations and candidate references. 3. Run the candidate by your colleagues and professional network. 1. Explore reduced fee or pro bono opportunities with the prospective mediator and the ADR provider. 2. Telephone interview the prospective mediator for style, expertise and "fit". 3. Include your client in the process. NB: For best success, all of the above should be done collaboratively with opposing counsel. How many times have you been at a mediation and asked, "What are we doing here?" Followed by the comment, "They asked us to be here and this is the demand/offer we get?" Mismatched expectations are all too common. The solution is to make a "feasibility call" before you set up the mediation. Below are discussion subjects to help make sure you and your adversary are at least in the same ball park before devoting the resources, time and treasure, necessary for mediation. The spirit and tone of a feasibility call is positive, inquisitive and focused on a productive process for both sides. A successful feasibility call is about sharing and learning, not grandstanding. 1. Who participates in a feasibility call? Ideally, all counsel, both trial counsel and the lawyers doing the day-to-day discovery and motion practice. Everyone has valuable input. 2. Are we ready to mediate? Has enough discovery been completed so everyone knows the case? Or are the parties willing to stay discovery pending the mediation? Is there a mutual willingness to deal with factual and legal uncertainty? Are there case dispositive motions that must be heard before the parties are ready to talk? 3. What is the case's value? Acknowledging that case valuation is, at best, inexact, most experienced trial lawyers can tell a mid-six-figure case from a seven-figure case. This is a chance to test your thoughts about value on the other side. Sometimes sports metaphors are helpful; stadium size or level of play. 4. Share and inquire. Be prepared to share the two or three key facts and legal arguments that drive your case. Invite the other sides to do the same. Then listen, don't argue. Even if a mediation is not convened, this could be the most valuable part of the feasibility call. 5. Who will attend the mediation? Trial counsel and all decision makers with the authority to act. Be mindful that corporate defendants and insurance companies need significant pre-mediation lead time to adjust to a case's settlement reality and secure authority. 6. Mediator selection and timing. Who will be the mediator and when will the mediation be scheduled? Many top mediators are booked two to three months in advance. Reserving a mediation date with your chosen mediator that fits the discovery, motion and trial schedule(s) can be difficult. It is also important to know the mediator's continuance and cancellation policies. No one wants a last minute surprise. Final note: Telephone lines work in both directions; plaintiff's counsel can call defense counsel and vice versa.